Conductive thread is a creative way to connect various electronics onto clothing. This thread can carry current for power and signals. While not as conductive as traces on a printed circuit board (PCB), this thread makes wearable clothing 'wearable'! We have worked with our supplier to change how to thread is manufactured to decrease the fray-resistance. This new thread is more expensive but the quality and the fray-resistance has increased significantly. Now you can worry less about short circuits and worry more about your project. 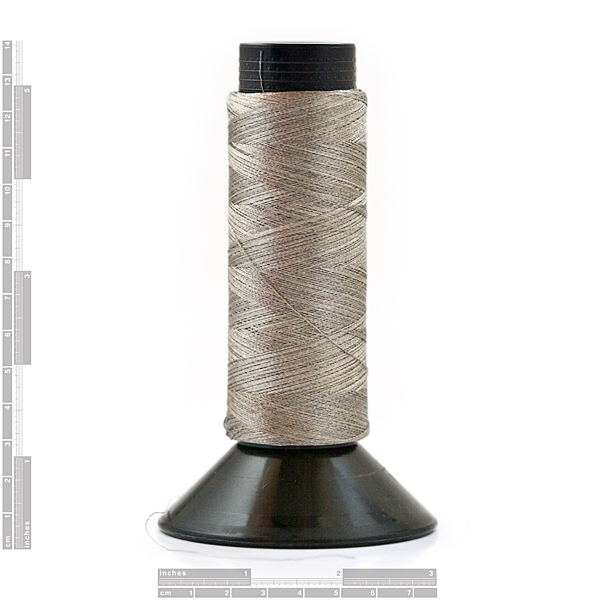 This is a thicker thread with a lower resistance that can be used with hand sewing. Resistance is about 14 Ohms per foot. Spool contains 1oz of thread, about 75 yards.